The selections of line drawings on this page cover a full range of complexity from simple black-and-white icons, spot illustrations and vehicle dimensions diagrams to highly complex multi-color line art diagrams and technical line drawings. 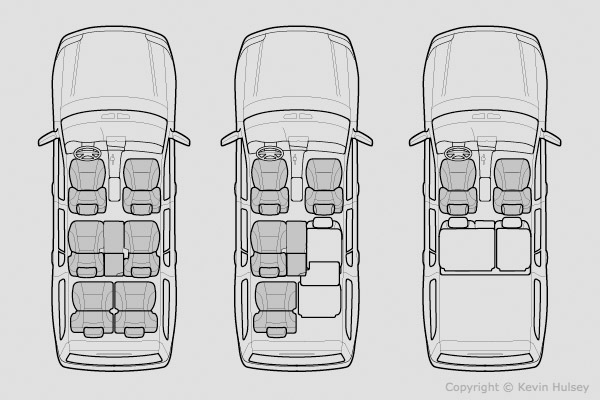 This top-view diagram of an SUV mini-van shows various seating configurations. This simple line diagram shows a passenger car's aerodynamics and drag coefficient as if it were in a wind tunnel. 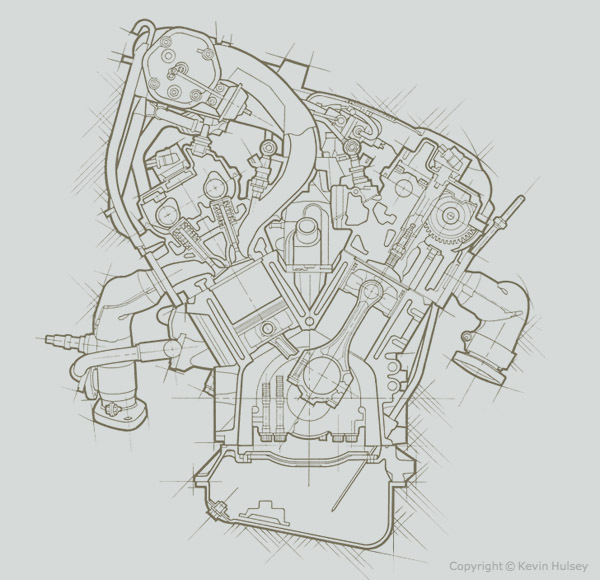 This section-view line drawing shows a laterally-sectioned elevation of a V6 car engine. 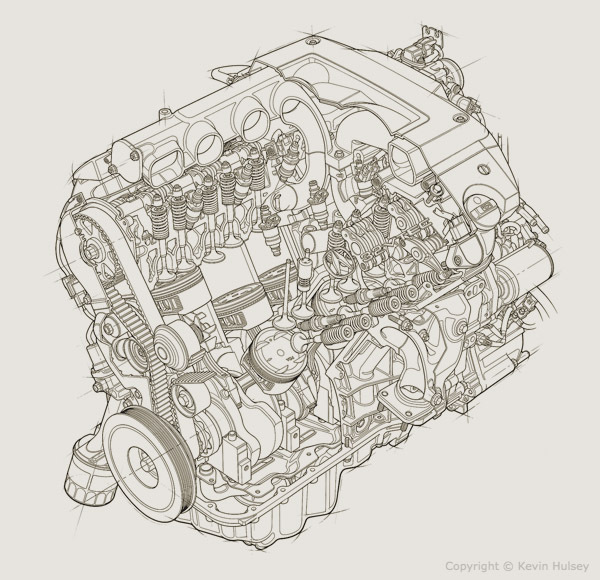 This screenshot shows the vector line art drawing of a major cutaway car illustration. 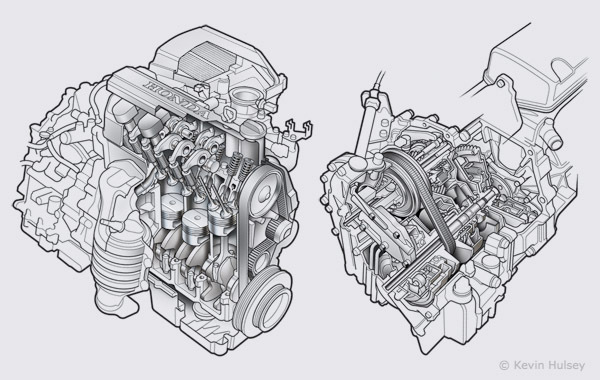 These simple line drawings show a Honda CX engine and Multimatic CVT continuously variable transmission. 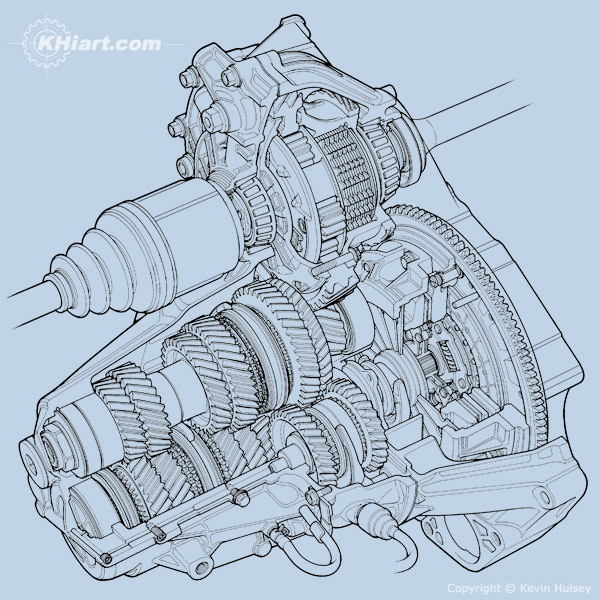 The line drawing above is of a 5-speed manual transmission from a Japanese sports car. 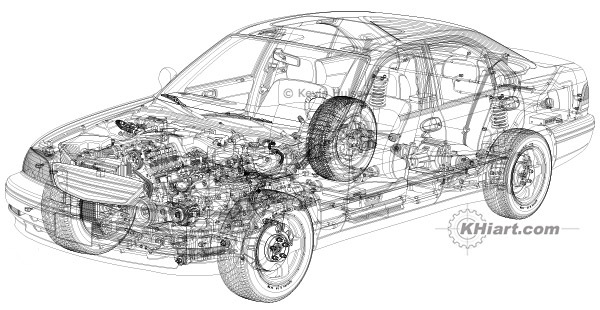 The simple line drawing is of a car's steel unibody structure that has been laterally sectioned. 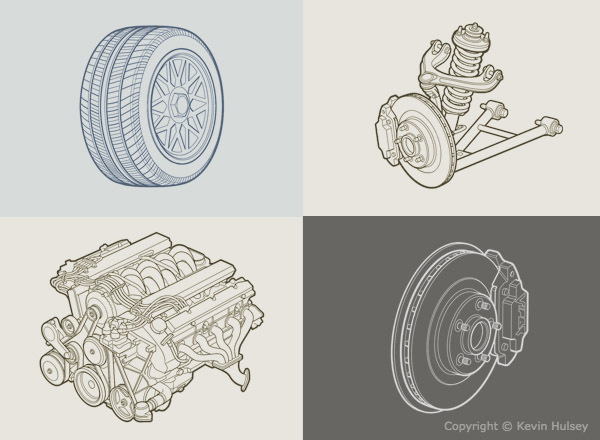 The above series of simple line drawings were part of a collection of over 100 spot images of mechanical components that were created for Nissan Motor Corp. of North America. 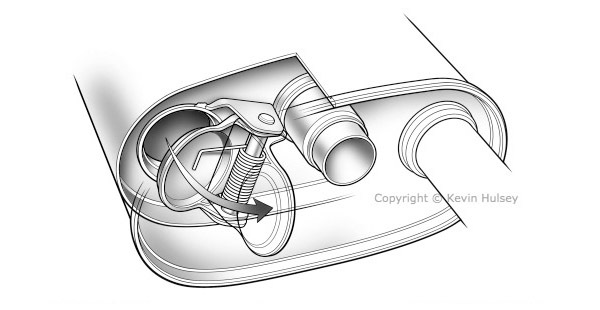 The simple line drawing diagram shows a spring-loaded muffler flap valve which reduces exhaust system back-pressure. This line drawing diagram is used to illustrate the car's exterior dimensions, showing the vehicle's wheelbase, overall length, width and height. 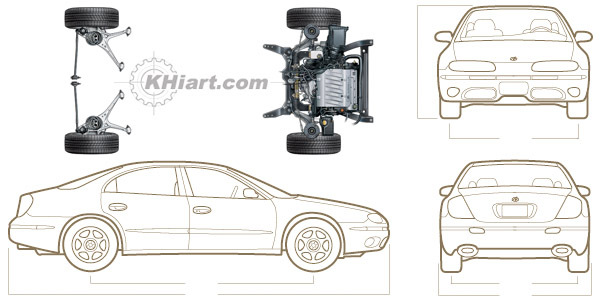 The simple line drawing diagram above illustrates a car's steering tow-in, caster and camber.